Simon Yates was the top British finisher at today’s Flèche Wallonne but was not happy with his performance at the 205km race. The Orica-GreenEdge rider finished the event two minutes and five seconds behind eventual winner Alejandro Valverde (Movistar), who took his second consecutive victory in the Belgian classic. 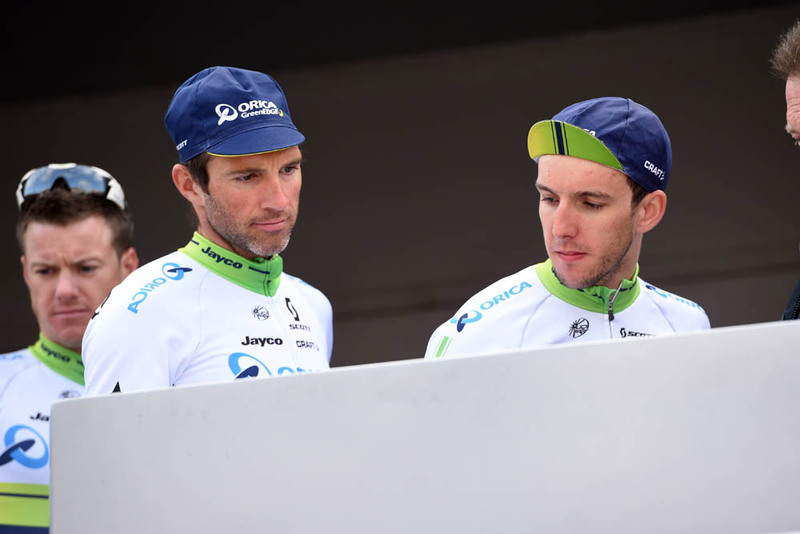 A finishing fifth at the Tour of the Basque Country earlier this month, Yates was touted as a good outside bet for the win, but was forced to chase back on after being caught behind a crash. That incident, at the base of the second of three ascents of the final climb, the Mur de Huy, meant the 22 year old had to work hard to regain contact with his rivals. That pursuit was bound to have taken the zip from his legs, though he felt the problem may have been elsewhere. “We rode full biscuit to get back to the front guys,” Yates told Cycling Weekly after the race. “I thought maybe it’s just because of that and I’ll see how I was on the next climb. But the next climb was the same, so I knew I didn’t have it. “I think the style of racing is a bit different from how I’ve been going. Very different to the Basque country. There you’ve been up seven or eight 5km climbs and there’s a lot less stress in the bunch because everyone’s already tired. Here you’re arriving at the bottom of the climbs and there’s 100 guys still and I think it’s a different effort. With Steve Cummings (MTN-Qhubeka) finishing 10 places behind Yates, Chris Froome (Sky) was the only other British rider to finish. The 2013 Tour de France winner crashed out 12km from the line, but suffered only some skin loss, according to Team Sky boss, Sir Dave Brailsford. Froome was using the race to recce the finish of stage three of this year’s Tour and despite finishing over 12 minutes down, Brailsford believes his attendance was worthwhile. Despite the crash, on Thursday Sky will recce the cobbled stage four of the 2015 Tour, before Froome heads to the Tour of Romandy next week. As for Yates, he will ride Sunday’s Liège-Bastogne-Liège, a race which may suit him better, before going to join Froome in Switzerland.